Manchester United manager José Mourinho has spoken out about Marouane Fellaini’s red card in Thursday night’s 0-0 draw with Manchester City. 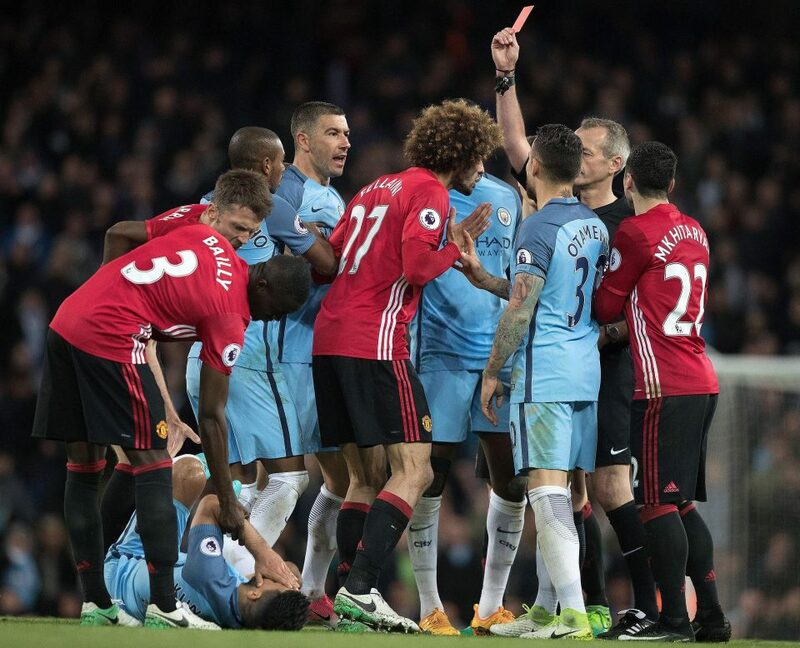 Fellaini was shown a straight red by referee Martin Atkinson for what seemed to be a headbutt on Sergio Aguero, immediately after he was booked for tripping the striker. And, Mourinho has revealed that the Belgian midfielder believes he was shown red because of his reputation in the Premier League. “If Sergio [Aguero] doesn’t go to the floor for sure it’s not a red card but if Marouane gave him chance to do that,” said the United boss. “I don’t know because I didn’t watch. I have just three details. Marouane says it’s a red card because it’s Marouane. He is very disappointed. He feels it is a red card because he is Marouane Fellaini. “Martin Atkinson told me in his opinion it’s a red card but I saw Aguero in the tunnel but no broken nose no broken head, his face is nice as always, so I’m not so sure. Fellaini is set to miss United’s next three Premier League games due to his violent conduct charge.